Pacific Embroidery - WHAT WE DOPACIFIC EMBROIDERY is your one-stop shop for embroidery, uniforms, personalizations, monogramming, company logos, and design needs. Our Main Offices and manufacturing facilties are located in Anaheim, Ca. Equipped with over 120 state of the art, high capacity production machines, the latest in computer graphics technology, and experienced customer care and service, our clients can be assured that every garment that leaves our facility will be produced with the highest in accuracy and quality. We thank you in advance and look forward to fulfilling all of your future embroidery needs! PACIFIC EMBROIDERY is your one-stop shop for embroidery, uniforms, personalizations, monogramming, company logos, and design needs. Our Main Offices and manufacturing facilties are located in Anaheim, Ca. 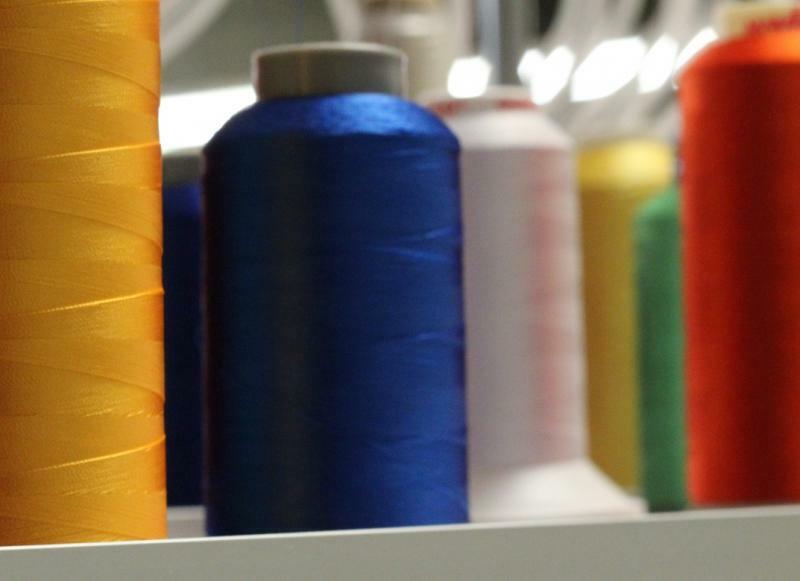 Equipped with over 120 state of the art, high capacity production machines, the latest in computer graphics technology, and experienced customer care and service, our clients can be assured that every garment that leaves our facility will be produced with the highest in accuracy and quality. We thank you in advance and look forward to fulfilling all of your future embroidery needs!